OK Z asked me to do the forum and I thought I’d fail miserably in a spectacular fashion. How am I doing so far? I was at work until 11:30pm last night so I a little discombobulated. But enough of my excuses! 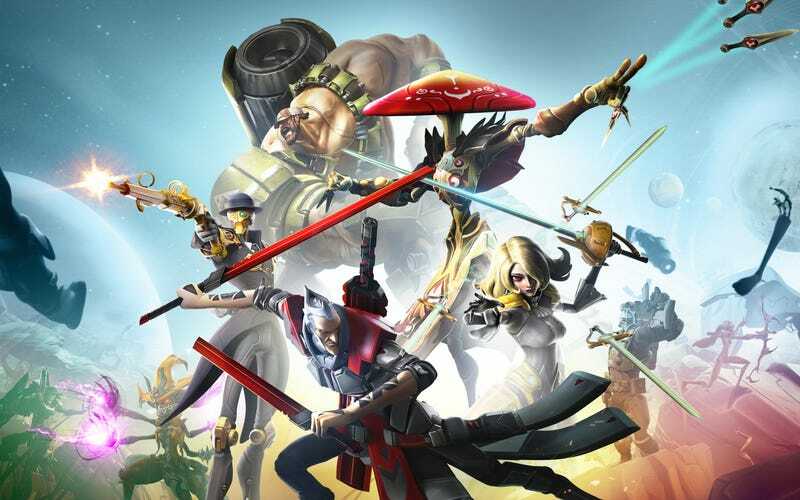 I’ve been playing Battleborn and I...........really like it. A lot, actually. The characters are fun and interesting. The humor grew on me (it is still a little hit and miss) and the gameplay is rock solid. What went wrong? Why did it fail so hard? From what I’ve read people expected Borderlands and got a MOBA. Then you got people who were like, this game is interesting OMG OVERWATCH SHOOOOT HIGH NOON EVERYONE! WOW! BLIZZARD TAKE MY MONEY! So bad timing I guess! What was the last game you played that everyone else overlooked? Why did no one play it? If you’re not feeling that question then tell me about your most hyped E3 games today! New Zelda got you aquiver? Resident Evil 7 got you trembling? Norman Reedus Baby Sim confusing the daylights out of you? If neither of those float your boat, well then let’s just Talk Amongst Ourselves! This forum is open for business!